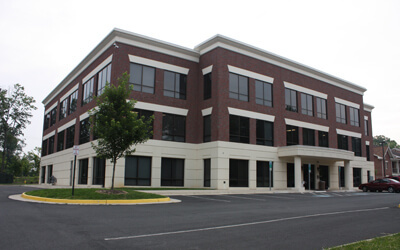 Check Out Our Available Commercial Space! The smartest thing we can help you accomplish is converting your business lease into a mortgage – which helps your business increase its equity. Why not? You wouldn't want to lease your home forever. Why lease your business premises when you can own that, too? Mike Garcia's Commercial Design-Build Development Team can help you with your business dreams, too. From inception, through design and even relocating into your new business location, we can help you do it all. 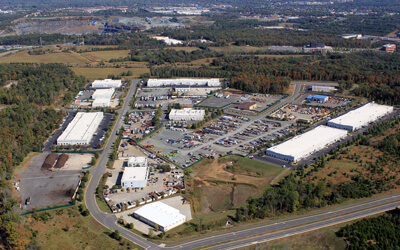 Our premiere 100 acre industrial park development tailored to small business owners. From 2100 square foot warehouse condos to corporate buildings with outside gravel storage, this park accommodates users of all sizes and of different industries. 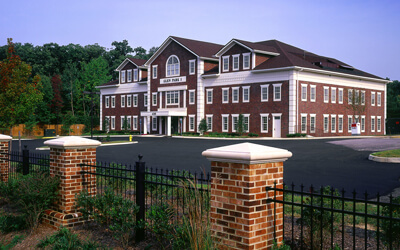 Mike Garcia Construction can design-build an office building of any size to accommodate a client’s specifications. From tilt-up construction to conventional post and beam, we aim to keep the client’s budget and site considerations in mind. 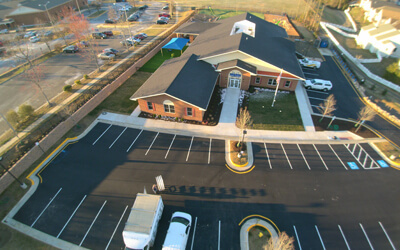 Mike Garcia Construction built, owns, and manages this medical office building in Prince William County and constructed the tenant fit-outs of each. 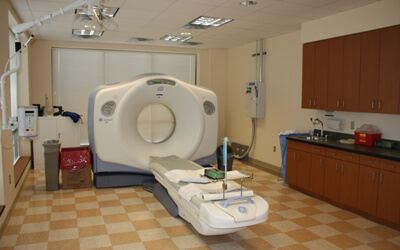 The tenants provide radiological, imaging, lab and testing services with strict adherence to ADA requirements. Mike Garcia Construction has built numerous daycares for private companies. We’ve design-built for some clients and worked with client’s architects on others. 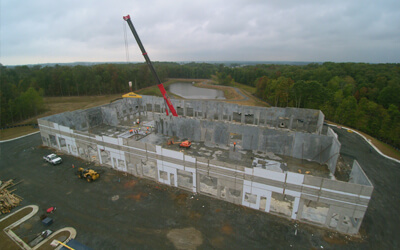 We relish working in concrete tilt-up construction. 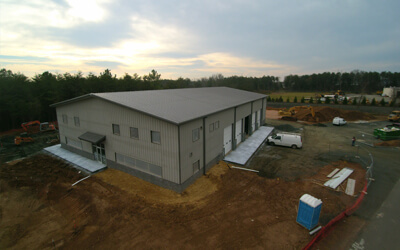 We’ve built our own buildings, both office and industrial, as well as built for clients with this type of construction. It’s durable, efficient, and quality construction that will last a lifetime. We work with our partner company to design pre-engineered metal buildings to fit a client’s site and requirements of their business. These buildings can be used agriculturally, as warehouse, as office, or a combination of each. They are flexible buildings to design and can be easily tailored to a budget. Mike Garcia Construction is more than happy to build-out a space of any type in retail, office, industrial, or medical building. We communicate well with building property managers and building engineers to limit the disturbance to adjacent tenants while still keeping our clients schedule and budget in order. Mike Garcia Construction not only specializes in new construction and remodeling but we also revitalize historical buildings. 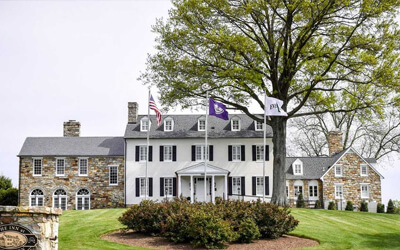 Careful consideration through-out the design and construction is essential to maintaining the historical integrity of the building while also bringing the life safety systems up to current requirements.